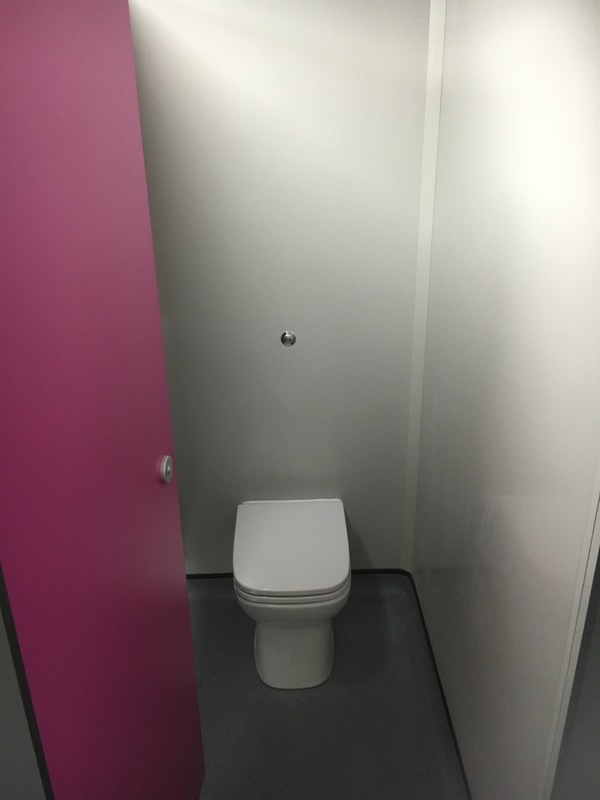 Three blocks of washrooms on a five tier mezzanine for a large online retailer in Runcorn. 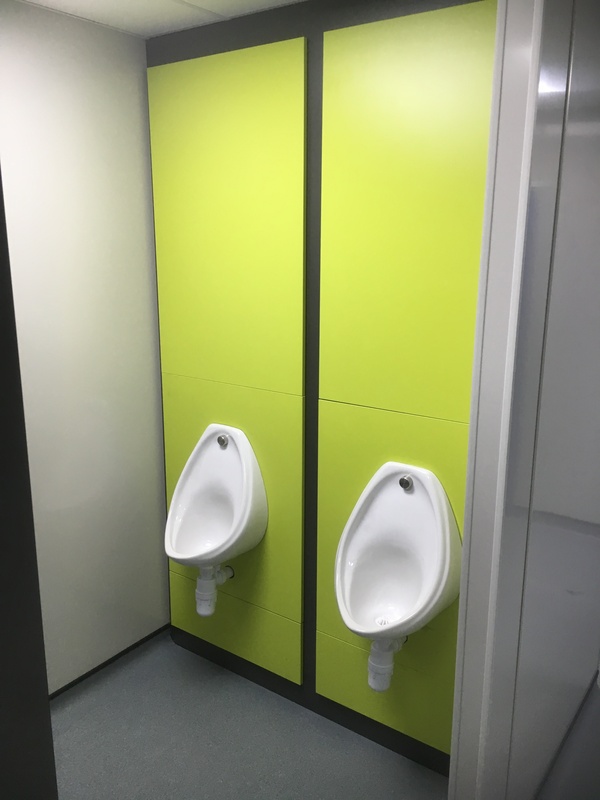 A unique design and competitive quotation won the job against others. 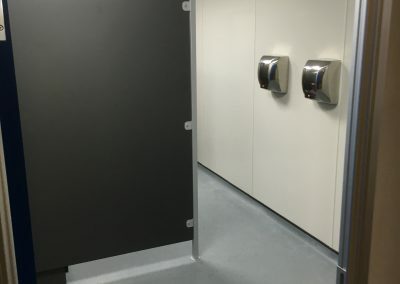 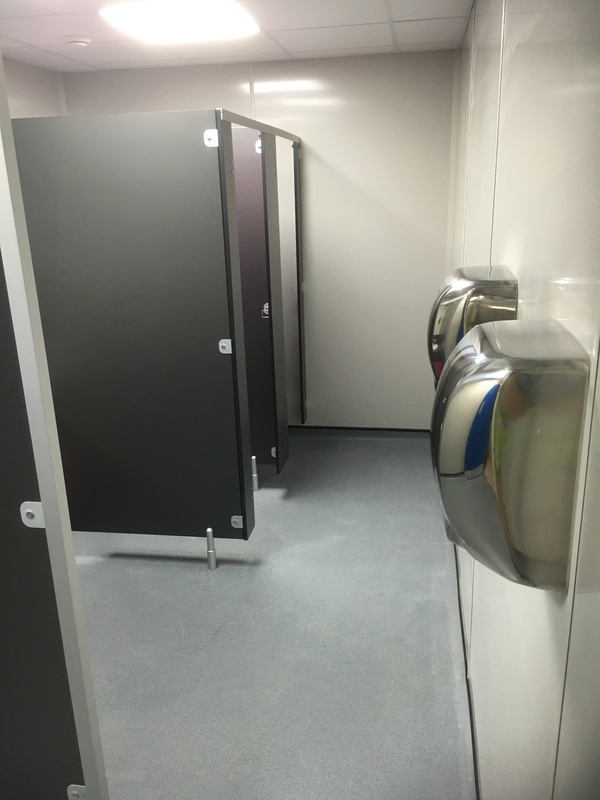 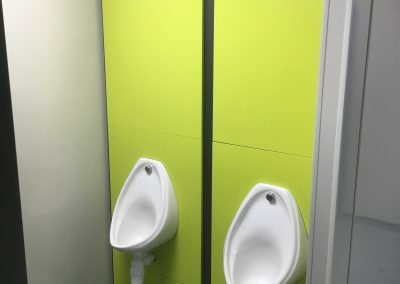 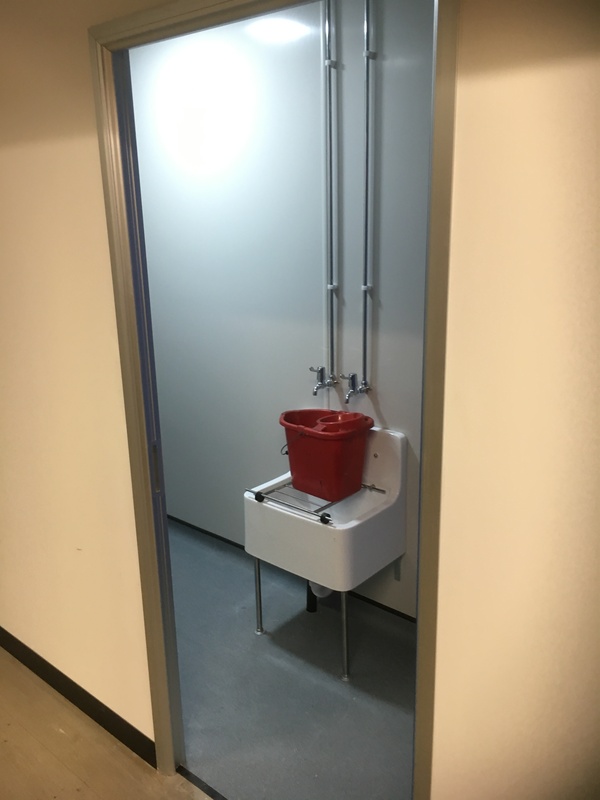 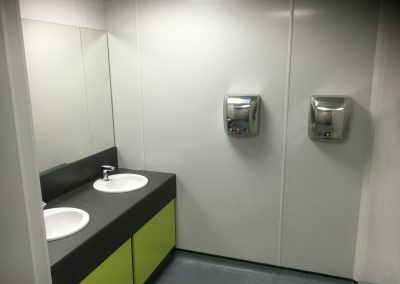 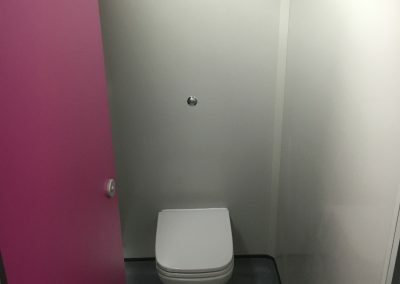 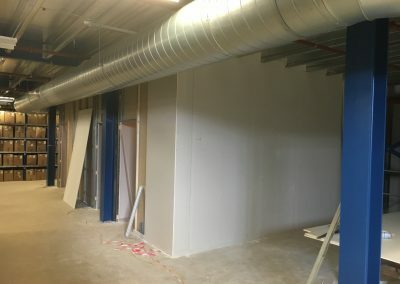 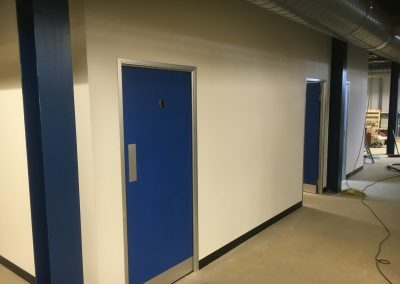 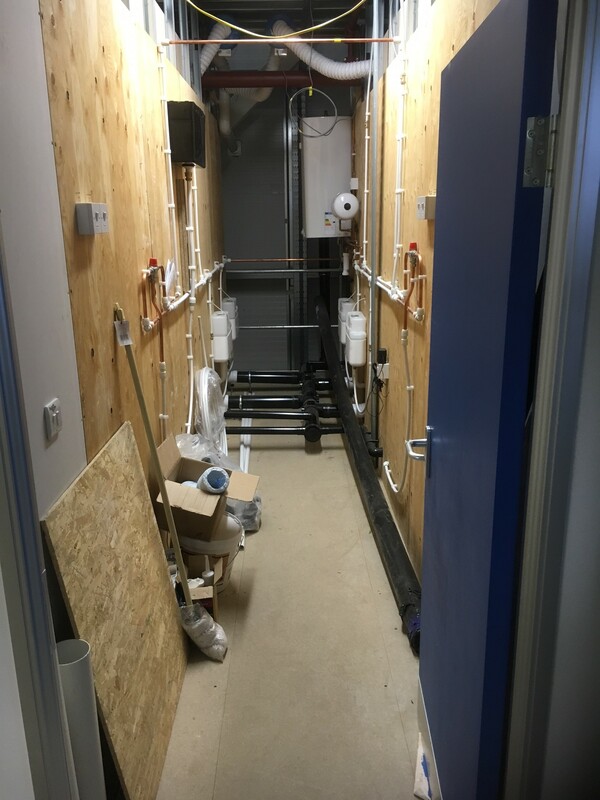 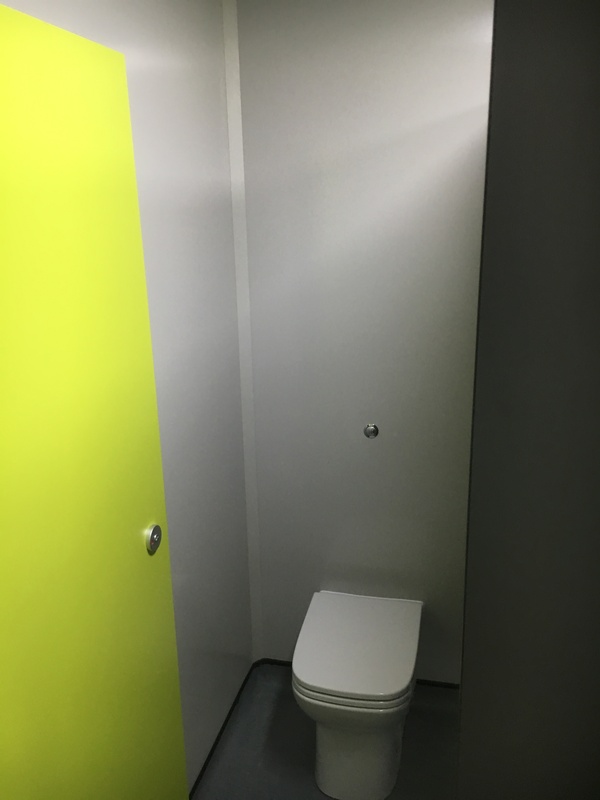 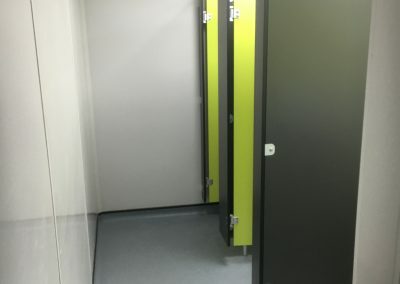 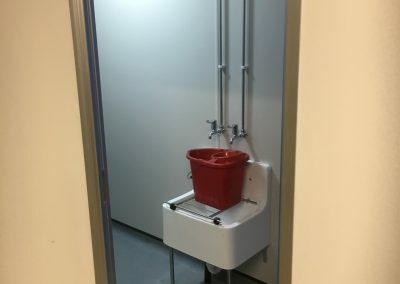 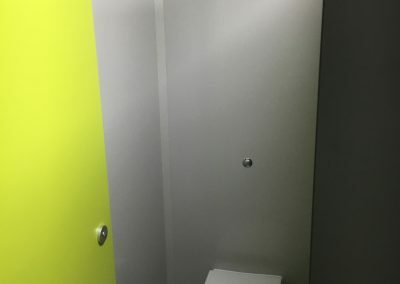 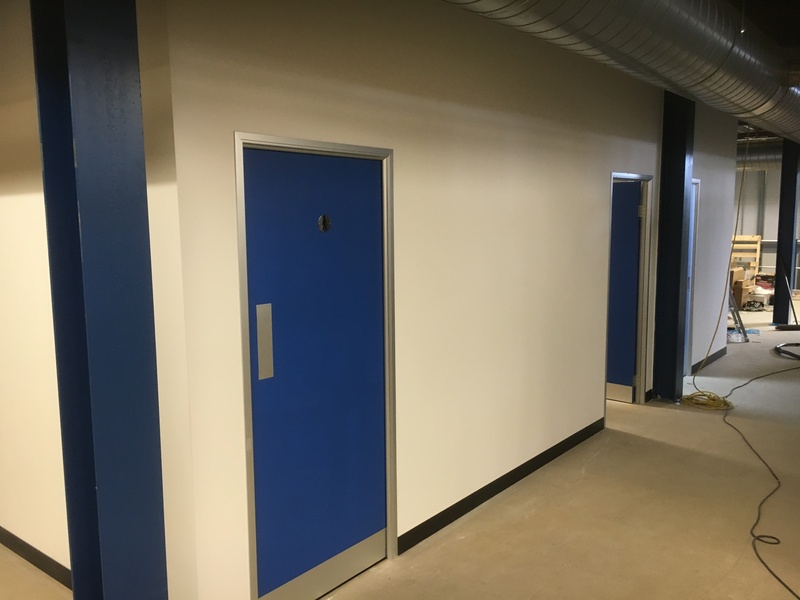 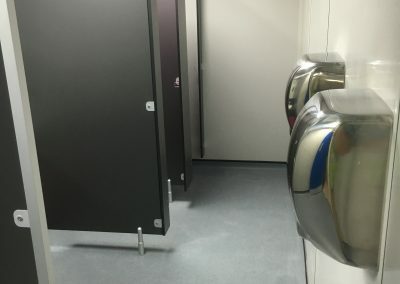 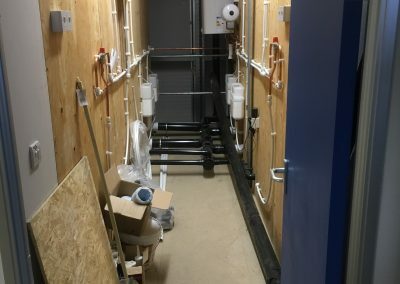 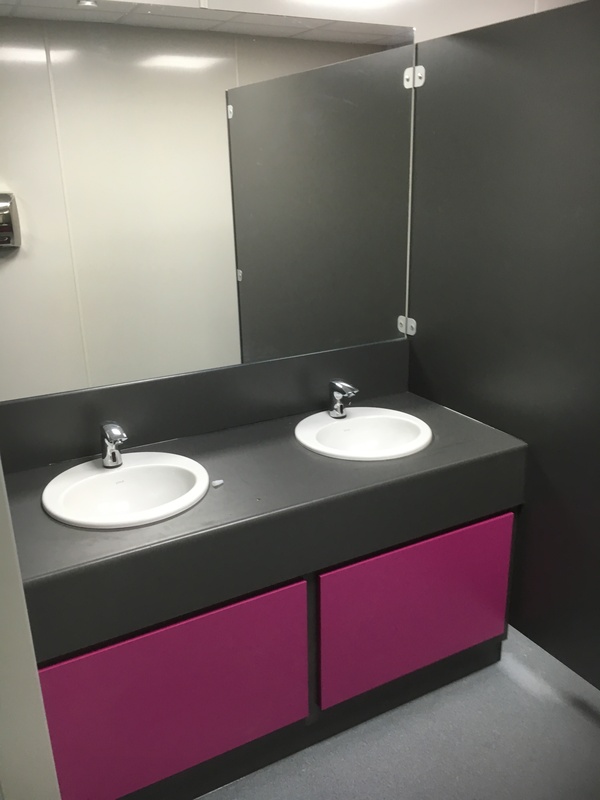 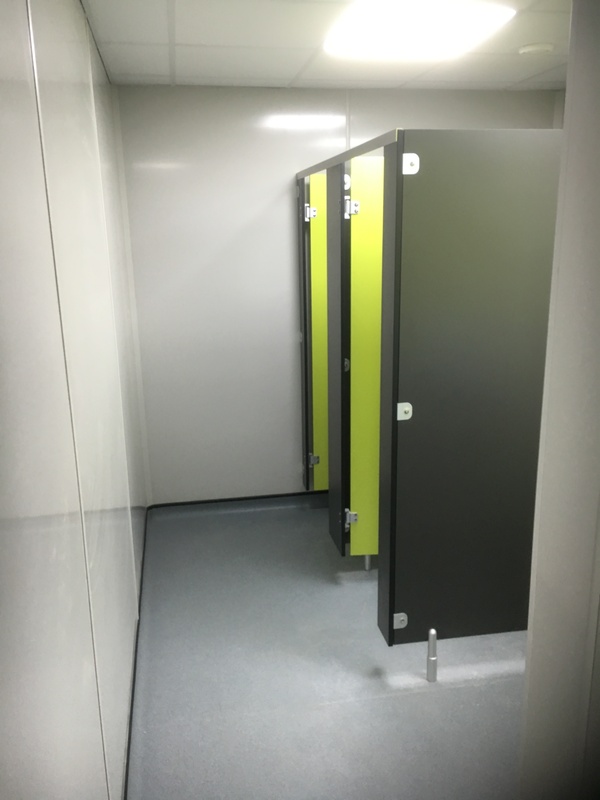 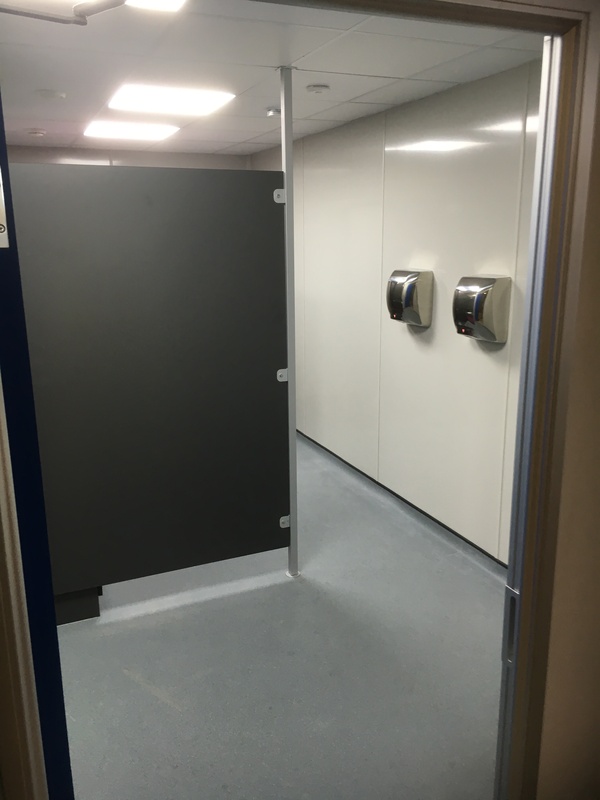 Both Ladies and Gents toilet facilities either side of a lockable central maintenance room complete with cleaners cupboards on three floors with the ground floor being DDA compliant. 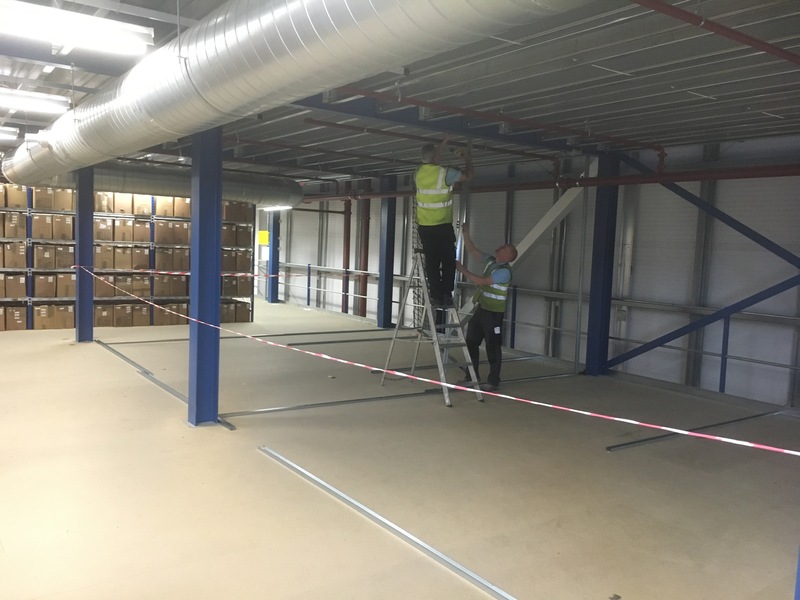 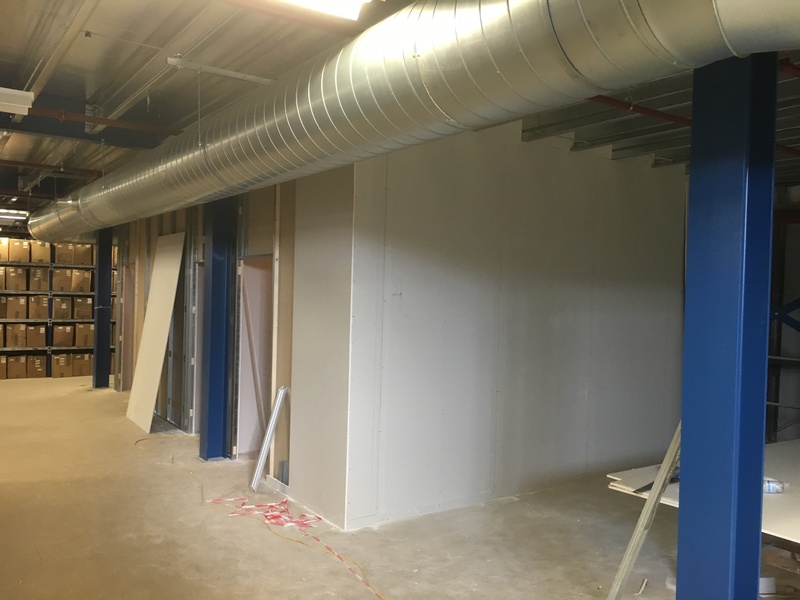 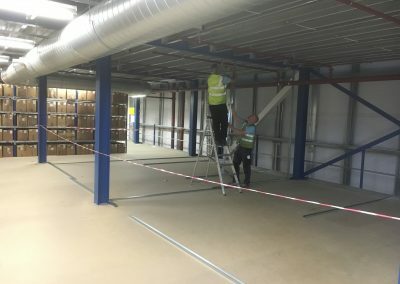 Walls, floors, cubicles, sanitary ware, lighting, alarms and extraction were all carefully chosen, creating a modern facility that was easy to use, clean and maintain.